Thirty five years ago my life was enriched immeasurably by a book. I had just moved to Montana from the east coast and was given a book by the great Montana writer, Ivan Doig. His classic memoir, ‘This House of Sky’, told of his boyhood on a ranch in central Montana within sight of the Crazy Mountains. For me as a twenty something raised in the suburbs of Rhode Island, the book was an epiphany. Doig’s wonderfully descriptive writing awakened me to a way of life I’d never known. Over the years I’ve read many of Doig’s books, his Montana trilogy (my favorite English Creek), The Whistling Season and his last book A Bartenders Tale. As a storyteller myself, I’ve enjoyed the rhythm of his storytelling, his use of language, his ability to elicit the heroic in the most unlikely of people. In his stories children are often the voice of wisdom, to a fragile adult world. 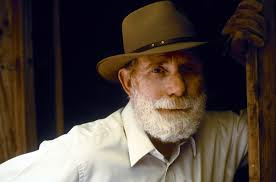 Recently I read that Ivan Doig had died. I felt like I’d lost a dear friend even though we’d never met. Such is the power of a good storyteller, who awakens the reader to new ways of seeing and hearing. All who have been befriended by a good book know the loss that I speak of. Thank you Ivan Doig. Your many readers will be forever in your debt. I love how a good writer just gets inside your head and messes around in there. Great tribute, Kent. And yes, I fully intend to read Doig as you’ve suggested! As a writer yourself and a lover of words I know you can relate. Such a nice tribute. Almost makes me want to read his books but alas I already have too many books I haven’t read! Thanks Marge. So many books, so little time! Enjoy your reading list too. He is one of my favorites. This is a fitting tribute. Powerful how a writer, a book, stays with us for a lifetime.